As we grow older, our skin loses its elasticity due to the effects of sun exposure, gravity and the aging process itself. These results in the appearance of facial lines and wrinkles. For the last two decades, one important innovation discovered is the use of growth factor in combating the effects of skin aging. By using growth factor technology as a skin rejuvenation treatment, clients are able to have a more youthful skin appearance. The benefit of growth factor technology in replenishing the underlying tissues on our skin comes from its main ingredient. This serum has the highest concentration of growth factor that is designed to enhance the skin’s natural process of regeneration by stimulating collagen production, assisting healthy circulation, and boosting cellular renewal. 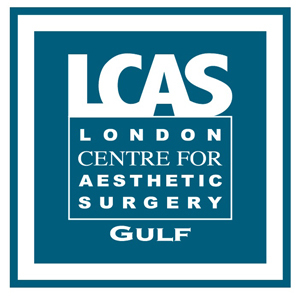 Here in Dubai, skin rejuvenation using Growth Factor technology is available in our Dubai Healthcare City clinic, London Centre for Aesthetic Surgery Gulf (LCAS GULF). Dr. Maurizio and Dr. Roberto Viel primarily use this to improve facial appearance and texture. They use this growth factor technology through direct application on the face. You need to come to the clinic 30 minutes before the scheduled treatment to apply the anaesthestic cream. Once ready, Dr. Maurizio or Dr. Roberto will then open your dermis with the use of a special type of needles. They will then apply the growth factor serum directly on the face. It will then be absorbed by your skin. There is no downtime with the treatment, but some clients may be a bit red on the face after the treatment. This redness will just disappear after 1- 2 hours. To know more about skin rejuvenation using Growth Factor technology in Dubai, click here. Drs. 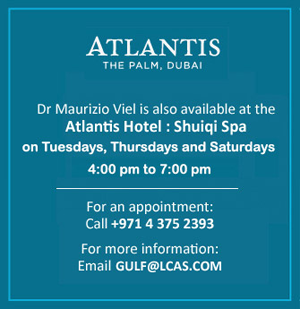 Maurizio and Roberto Viel have over 25 years of experience in the field of cosmetic surgery industry, and are known for their expertise in most cosmetic treatments e.g. Botulinum Toxin Injections, dermal fillers, and mesotherapy.